For the past 40 years, John Scotti Classic Cars has been the standard-setting classic car dealer in Canada and across North America! We are proud to offer an exclusive selection of vintage cars from top car brands past and present, including the most beautiful and hard-to-find classic car models from Ford, Chevrolet, Plymouth, Cadillac, Mercedes, Pontiac and other makes. For antique vehicles dating back to the 1930s, 40s, 50s, 60s, 70s and 80s or muscle cars, luxury and performance models, small-production vehicles and even one-off car models, we invite you to take a look at our current inventory of classic cars for sale in Montreal and be inspired to dream! At John Scotti Classic Cars and at the John Scotti Automotive group, we have a large network of suppliers that we have access to, in order to obtain the most sought-after and best-condition classic cars on the continent. Moreover, we are able to count on a team of devoted experts in vehicle restoration who are passionate about the history and mechanics of old vehicles. Their expertise and devotion is what allows us to offer such an exceptional selection of classic automobiles that have been expertly and comprehensively restored. At John Scotti Classic Cars we are committed to preserving as much as possible the original appearance of our vintage automobiles. Conserving the integrity of the antique cars we sell is important to us! The team at John Scotti Classic Cars is a frequent participant at automotive events throughout Quebec, including at classic car expos. Come meet us on this occasion! Member of a particular club or association, or simply an enthusiast of cars from an earlier era? Interested in one of our vehicles? Please don’t hesitate and give us a call at 1 877 504-7973 or send us an email to speak with a member of our team. Better yet, come and see our current, exclusive collection of classic cars at 7905, boulevard Provencher in Montreal. We look forward to welcoming you! 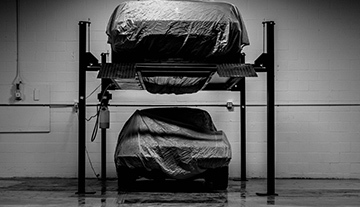 Entrust your luxury vehicle or classic car to John Scotti for storage. We guarantee you a quality professional service in Montreal. Your vehicle is safe with us! John Scotti is reputed for its inventory of luxury cars. 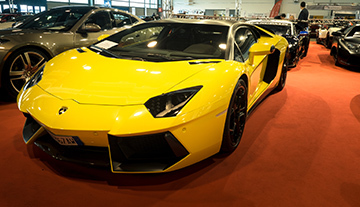 Browse our wide selection of European and Japanese cars, and many rare and exclusive models. Discover the latest news from the John Scotti Group. 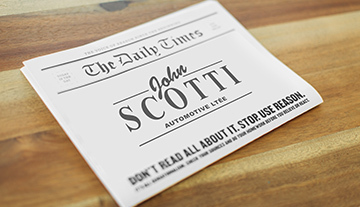 Check out all the industry news and John Scotti dealerships news now.